Born on October 20th, 1990. VOCALOID P born on Nishiri Island, Hokkaido. A multi-creator who is a lyricist, composer, and a novelist. Influenced by his uncle who was a keyboardist, was around music from a very young age. Began playing for a band during his student days. 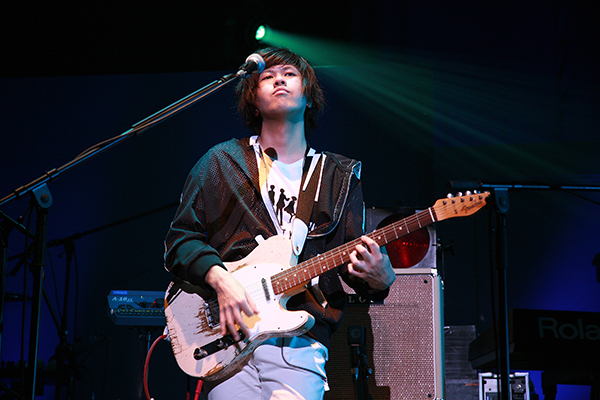 Influenced by bands such as “THE BACK HORN” and the composer Satoru Kousaki, received critical acclaim with his composition that stories and worlds. In 2011, made his VOCALOID P debut with “Jinzou Enemy”, which he submitted to Niconico. “Kagerou Project”, which was a group of songs that unfolded to tell a single storyline, became an explosive hit attracting more than 20 million views. He rose to instant stardom amongst Niconico users; consequently, his numerous releases have all ranked high on the rankings. The song “Nihonbashi Kouka Shita R Keikaku” from the April-2012-release work “IA/01 –BIRTH-“ was offered as the animation promotion video produced by Takuya Hosogane, which led to a high rate for both the song and the video. In May, released the 1st full-length album “Mekakucity Days” which compiled the worlds of all his releases onto a single album. Made his debut as a novelist with “Kagerou Days –in a daze-“, a story about the characters who appear on his songs. Furthermore, his 1st single “Children Record”, released in August 2012, won 3rd place on the Oricon Weekly Single Ranking. In May 2013, released his second album “Mekakucity Records”, which brought the serial musical story to an end. The comic version of “Kagerou Days” will begin its series on the Monthly Shonen Comic Gene. His record of achievements seems to keep coming in.